This book is a sociological account of the historical trajectory of feed-in tariffs (FITs) as an instrument for the promotion of renewable energy in Europe. Chapters analyse the emergence and transformations of feed-in tariffs as part of the policy arsenal developed to encourage the creation of markets for RES-E in Europe. The authors explore evolving conceptions of renewable energy policy at the intersection between environmental objectives, technological change and the ambition to liberalise the internal electricity market. A surprising, lively, and erudite history of horse and man, for readers of The Invention of Nature and The Soul of an Octopus. This collection offers a synoptic view of current philosophical debates concerning the relationship between facts and values, bringing together a wide spectrum of contributors committed to testing the validity of this dichotomy, exploring alternatives, and assessing their implications. THIERRY AIMAR, Jack Birner, Pierre Garrouste, "F.A. Hayek as a Political Economist: Economic Analysis and Values"
Dave Ferguson, Jon Ferguson, "Exponential: How to Accomplish the Jesus Mission"
Lena Baunaz, Liliane Haegeman, "Exploring Nanosyntax"
Joseph Siegel, "Exploring Listening Strategy Instruction Through Action Research"
The concept of a circular economy gains more and more popularity for companies and politics. In theory the concept holds not only ecological and social but also several economic advantages for the applying companies. This book addresses the following research questions: How is the concept of the circular economy implemented? What impact has the implementation of circular economy on organizations? What are the challenges deriving from circular economy implementation? A qualitative study with companies from various industries in Europe and America has been conducted. Results show that the theoretical comprehensive benefits cannot yet been found in the economy. Finally the central findings are compared to findings in existing literature, contributions to it discussed and a critical view on circular economy provided. 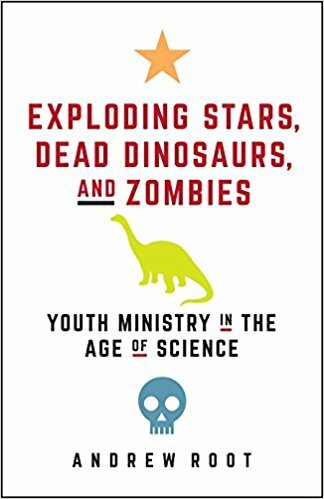 Andrew Root, "Exploding Stars, Dead Dinosaurs, and Zombies: Youth Ministry in the Age of Science (Science for Youth Ministry)"